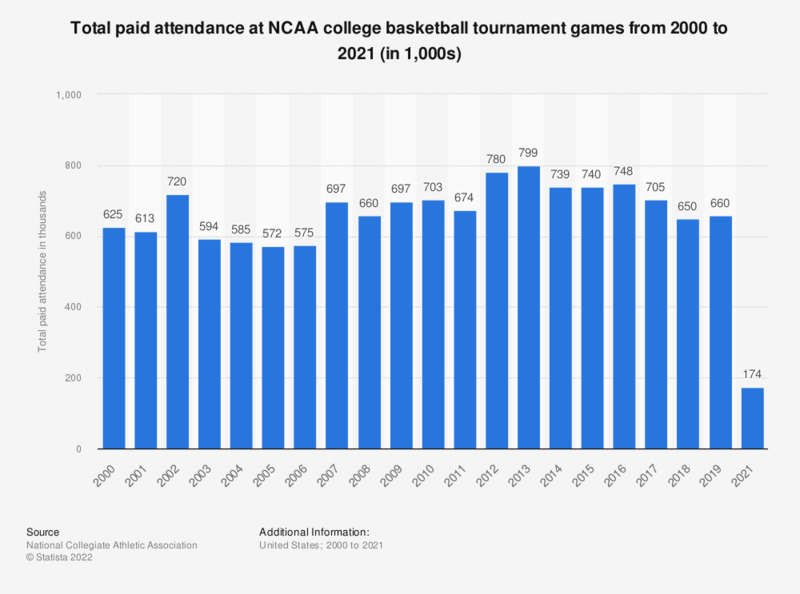 The statistic depicts the attendance at NCAA college basketball tournament games from 2000 to 2018. In 2010, the 65 games were attended by a total of 703,000 paying spectators. In recent times, although game attendance has been increasing, viewership has been slightly decreasing. * In 2000 64 games were played in the tournament, from 2001 to 2010 65 games were played and from 2011 on onwards the number of games was 68. Which of the following casual dining companies is an official sponsor of the NCAA?